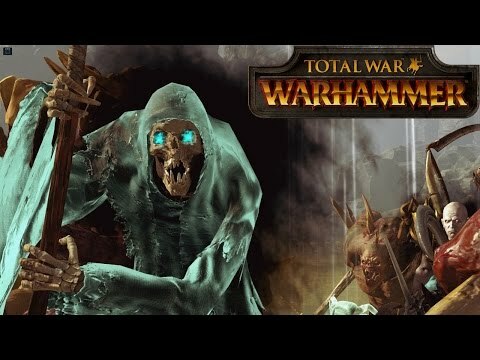 Total war: Warhammer Update and Patch Notes! That's right - today is Wednesday-Newsday! Surprise! Forget Tuesday, Wednesday is where it's at now, and do we have a lot of news for you? Yes. Yes we do. First up - we announced a patch. You've been asking for it, and here it is. We mentioned some of the things involved in it during the livestream, but if you missed that and wanted to hear it again, here are some highlights: five new battle maps in multiplayer, unit rebalancing across the Old World, sieging against the AI will be harder, agents will be nerfed somewhat and... Blood Knights are coming. They're on their way. The patch + Free-LC is out at 2PM BST on 30 June 2016. And the second thing is another thing you've been asking for - DX12. This is an opt-in beta that will be available to try in game. Our work on DX12 is ongoing and there are some outstanding issues still to solve, so we’re keeping it as a beta feature for now. It's a bloody good update, isn't it? edit: also "Organ Gun: +Penetration (now penetrates Troll-sized enemies too) "
So according to the list dx12 isn't compatible with the NVIDIA 980ti?? The fix is in I guess, very bad business practices to collude with AMD to sabotage NVIDIA users. Shame on you CA, I will not switch to AMD. Also, you didn't even list the patch build number. How are we supposed to know if it downloaded. Looks good. Was hoping for DLC, but still looks good. Hell yeah! Great job CA! Clear the field, the Blood Knights have arrived!!! Agreed, Charlotte - an excellent update. Many thanks, CA! Looking at the live stream right now. I have to say I like the format (you guys just sitting down and talking). Good job! Awesome news! Da boyz iz pleased! Mork is now considerably Morkier. "Heaven forbid that under the Vail of military training we should subject our young men to the lust of our general" - Hanno to the Carthaginian senate on the future of Hannibal. Where is the livestream being held? Any links? When is this patch/flc out - is it out now? No blood & gore ? I think an official statement would be nice. Is it actually ever coming to WH? -Goblins are now more ticklish. -Mork is now considerably Morkier. -Gork is now appreciably Gorkier. Might finally stop all those " Where's the Patch" threads we get every day. Is the Dx12 list accurate or not? I have a laptop with a GTX 860M and a desktop with a r9 280, and I CAN PLAY games on dx12 such as Ashes of Singularity and Rise of Tomb Raider on these cards, but these are not on the list and many others seem missing? i need to worry about ?? Also because i don't work for The Creative Assembly or SEGA. According to the Wiki this is not really CA's fault. "In readiness for DX12, AMD have been building Async Compute functionality into their GPUs for quite some time now, including the new RX480. This means that, while some earlier-gen NVIDIA cards are technically DX12 compatible, you’ll see more DX11-to-DX12 performance gains across a greater range of AMD cards, as they get the benefit of Async Compute and therefore parallelize tasks better." I'm confused,steam didn't update my TWW. Is it out or not ? So does the DX12 patch run on NVIDIA cards or not? The patch notes only say that they don't support Asynch Compute. But that's not identical to saying that they don't work with the DX12 patch. Since DX12 also has much better multi-threading support for draw calls which should help performance in certain CPU limited situations I would be nice to run the DX12 patch with NVIDIA cards as well, even without Asynch. If what balancing I've seen here is the shape of things to come - this will be the worst balanced Total War game to date. Very poor work. Unbelievable in fact. Checked notes, couldn't tell if Hero quests, for unique items , where the actual quest itself, FAILED TO TRIGGER was patched or not? Anyone know? I have a question regarding the patch notes. Under Campaign Changes it says: "Character experience is no longer awarded for sacking a settlement." Does that mean a general will never gain experience if he sacks a settlement, not even from fighting the garrison? Or was there simply an experience bonus after fighting the garrison for also sacking the settlement that was thusly removed? @CA: May I ask where to mod the innate traits that are triggered when a character is created? I can`t seem to find them in the export_triggers. Great update! Little miffed about being shafted on DX12 being a 980ti owner (Not exactly going to go out and buy an AMD card just because lol DX12), but the rest is grand. 980TI is supported for DX12. It's just that they can't do Asynch Compute but that's a NVIDIA GPU architectural problem. DX12 should still be better, especially in CPU limited situations (e.g. zooming in on a lot of units). You might still gain a performance boost. The Wiki only states a yes/no when talking about Async compute, which is not a feature in many nvidia cards. All cards listed are DX12 compatible. Invocation of Nehek and increased physical resistance for ethereal units to name one. Debuff to savage orcs for another. 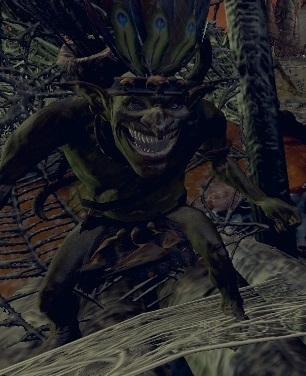 Also Forasken receiving so much debuffs when they are pretty much the only good thing about Chaos. EDIT: And just the general fact that all this rebalancing has been done with stat and mechanic changes as opposed to cost changes only. None of these get tested. It's just guess work. And imo uneducated guess work that goes into this sort of balancing. Sorry if I sound salty - I've just seen this too often now. Ah, thank you for the clarification. I was not aware of that bonus.